“Things didn’t turn out well. We all need the words of this book. F- When have you felt lonely and in need of a friend? Who befriended you? R- Which character quality can you most relate to: Fern’s friendliness, Wilbur’s gratitude, or Charlotte’s determination? Tell a story of when you displayed this quality? 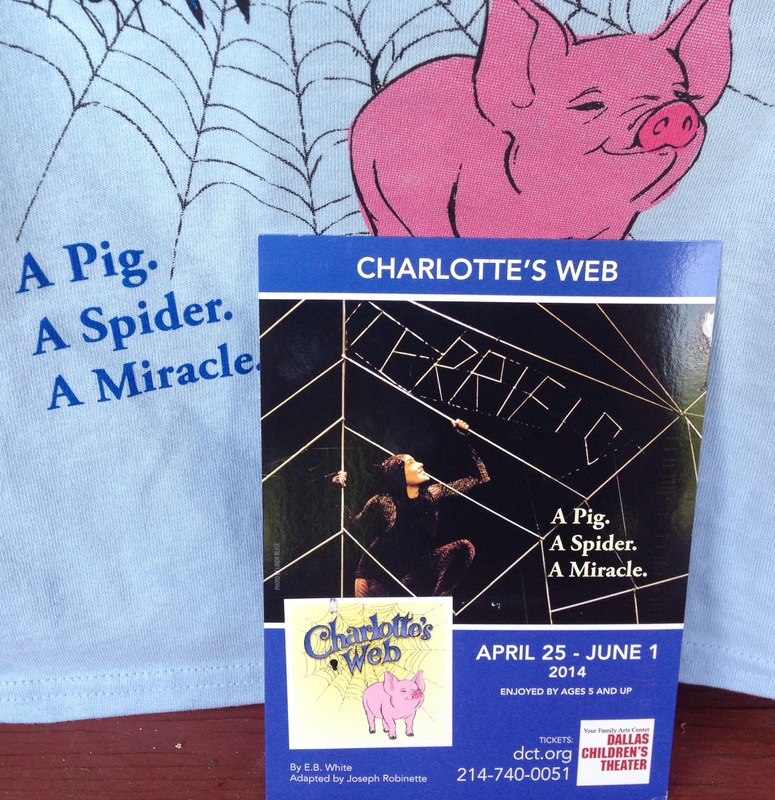 I- Imagine that a spider could write three adjectives in her web that describe you, like Charlotte did for Wilbur (terrific, radiant, humble). Which words would the spider write about you and why? E- Explore how to take care of a specific farm animal either by actually getting one (upon parents approval!) or through research on-line and in books. N- Navigate the parts of the United States that do the majority of farming. Mark them on the map with a symbol of what they farm: crops, cattle, pigs, etc. D- “Discover the true meaning of friendship and life’s everyday miracles” by seeing the performance adapted by Joseph Robinette at the Dallas Children’s Theater ! S- Share your friendship by reaching out to someone that is not like you. You may find your own miracle! 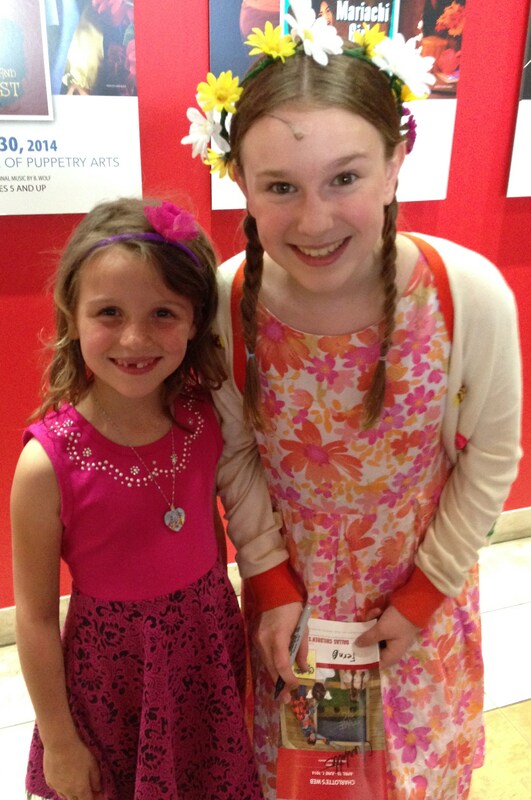 The “terrific, radiant” performance at the Dallas Children’s Theater. 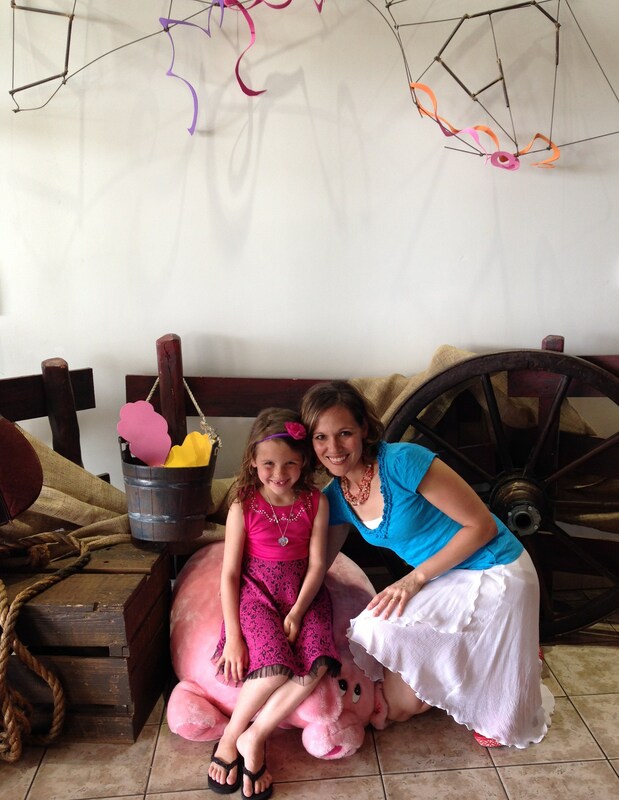 My second grader went with his school to the play, so I had a mommy-daughter date to see it too, and we all LOVED it! The cast at the Dallas Children’s Theater capture each character in a memorable way. At first, we thought it may be hard to fall in love with the characters since they are humans acting as farm animals (a spider, pig, geese, and cows, rat, and so on), but it took just a few minutes before we loved each one as though they were the very characters E.B. White created. The geese made us laugh, the spider amazed us (especially with the special effects of the writing in the web), the pig amused us, and the rat, well, he gave the barn a villain that wasn’t too vile once you really get to know him. The unexpected friendships that develop on the farm and at the fair between Fern and Wilbur, Wilbur and Charlotte, and even Charlotte and Templeton (“the rat”), and then Fern and her first “boy friend”, all show us the miracles of life that we see, but don’t see unless we slow down, look, listen and learn to love. The performance at the DCT helps us begin this process. 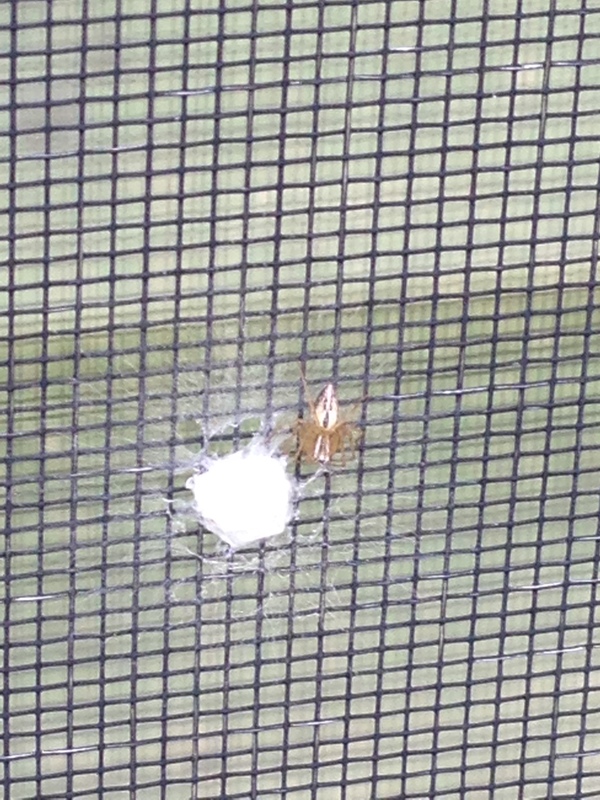 For instance, see what my son discovered outside on one of our window screens this week? (pictured below) In the middle of playing back-yard-baseball, our eight-year-old son took time to discover something so small yet significant, and that’s a glimpse of what this book and the play have done for us! Our Very Own Charlotte’s Web Egg Sac?! *Please Join Kidsbook Friends on Facebook to see some great summer reading materials, coordinating fun activities, and reading and writing contests, events, and specials from publishers, book stores, libraries and more! 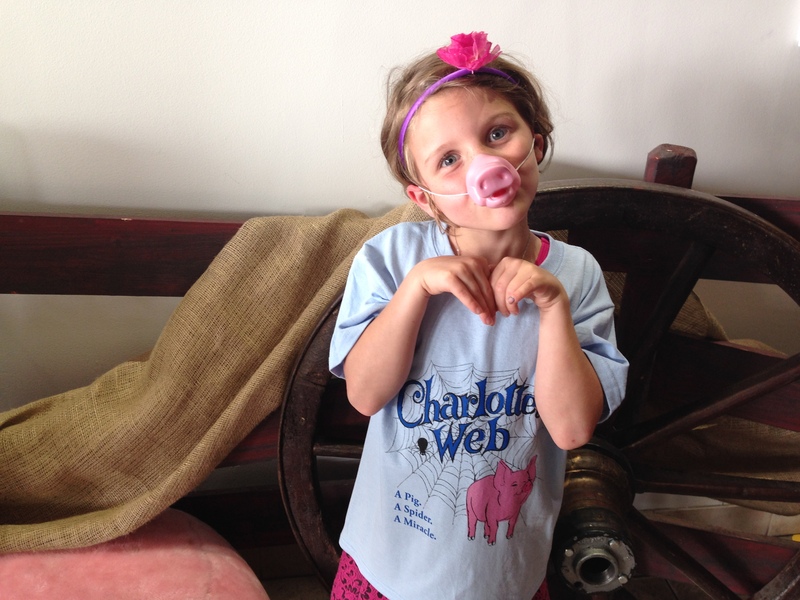 Kate DiCamillo shares her experience with Charlotte’s Web. The video closes with pictures of E.B.White and his original manuscripts and photos of him on his farm. 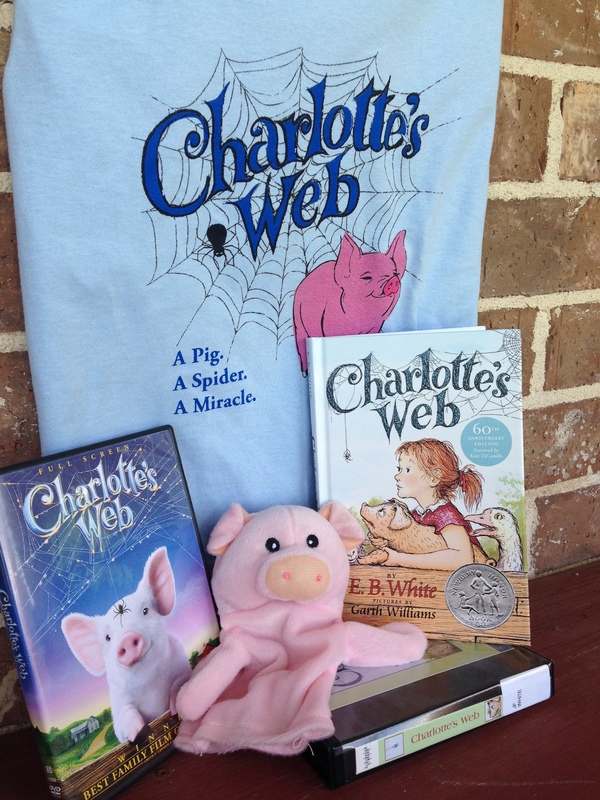 This entry was posted in Farm, Friendship, miracle and tagged Charlotte, Charlotte's Web, E.B.White, Farm, Fern, friendship, Garth Williams, Harper Collins Publishers, Kate DiCamillo, Miracles, Newbery Honor Book, pig, spider, Wilbur. Bookmark the permalink.